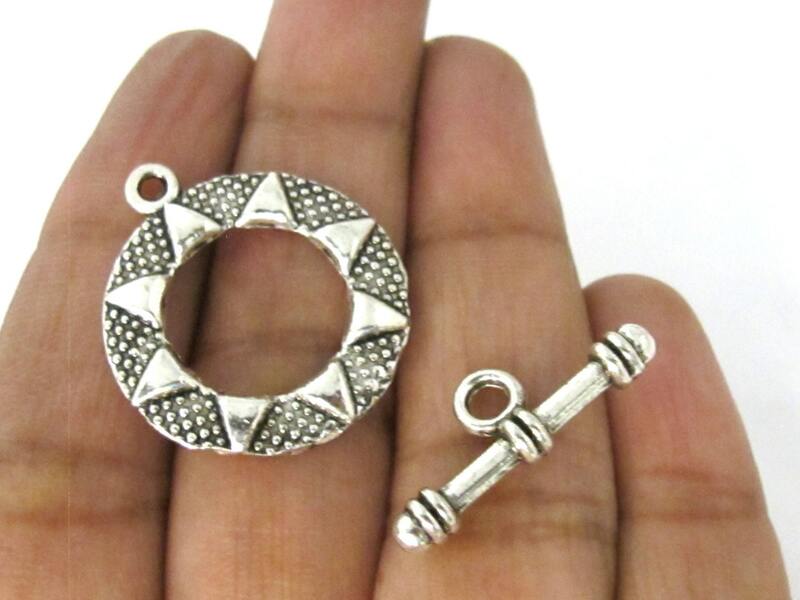 This listing is for 2 clasps sets. 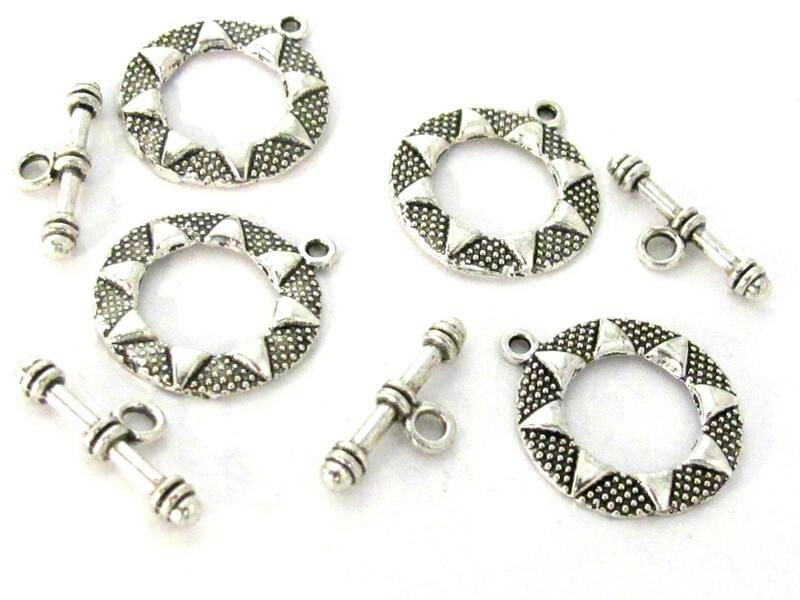 Silver tone finish round shape toggle clasp. Sun design. Lead and nickel free.